1. 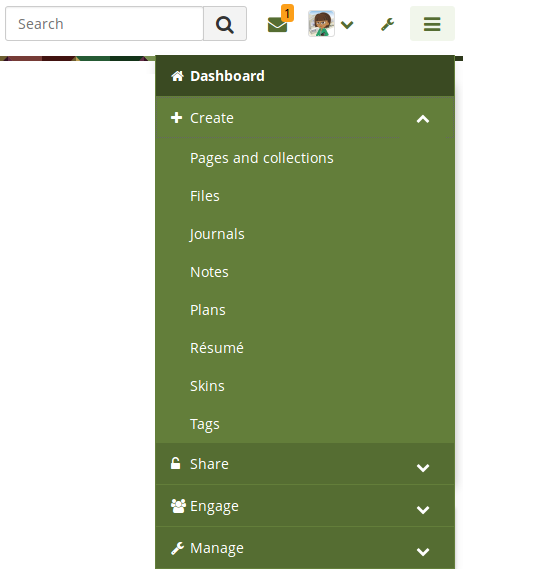 What’s new in Mahara 18.10? There is a longer video that shows more of the work flow. You can see a list of all new features on Launchpad or check out the user-focused features via the “New in Mahara 18.10” index entries. The additional item of “Manage” was added for the items that did not fit in any of these categories. If you tagged content, e.g. files, journal entries, or plans, and blocks, then you can create a new page based on that tagged content. Choose the tag or tags for which you want to see all content items. They will be added to the page automatically. You can then arrange the resulting blocks as you like or remove them. Institution administrators can set up any number of ‘official’ tags. These can be used by institution members to ensure that they are using the correct tags at all times. Institution tags cannot be edited by institution members. If you are on a portfolio page by somebody else, and you want to know all the content that they have tagged with a specific tag, you can click the tag at the artefact or the page and see a list of all content items with that tag to which you have access. There are a number of new features that support the creation and use of templates. These features are geared towards scaffolding the portfolio creation process and give people who are new to portfolios or need to create a compliance portfolios tools at hand to facilitate their work. Blocks in all contexts: Blocks that could only be used by individuals can be put onto group, institution, and site pages for easier copying. While content may often not be added itself, the block can be prepared for the people using the template. Page instructions: Pages can be set up with instructions that sit at the top of the page rather than needing to use a block for that. Lock blocks: You can lock blocks to a page preventing their deletion from the page. While a portfolio author can remove the lock, at first look it is not possible to delete the blocks. Copy group portfolios automatically: You can copy a group portfolio automatically into the accounts of existing group members. Administrators and tutors are excluded from the copying. Personal portfolios can be submitted to an LTI-enabled learning management system (LMS). 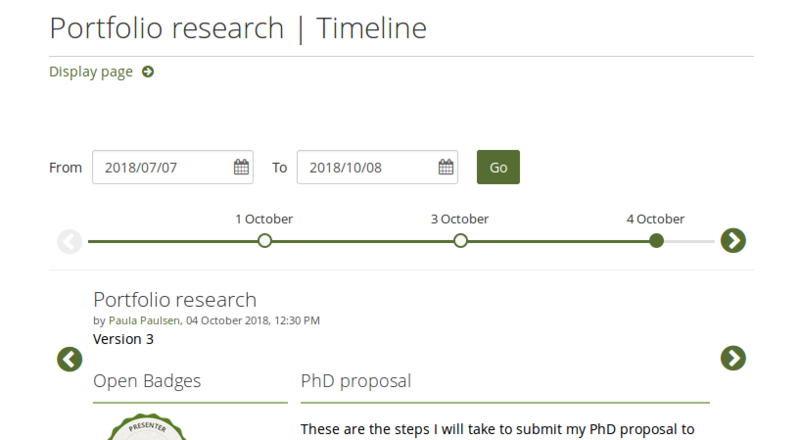 Assignments are set up in the LMS with the connection to Mahara. 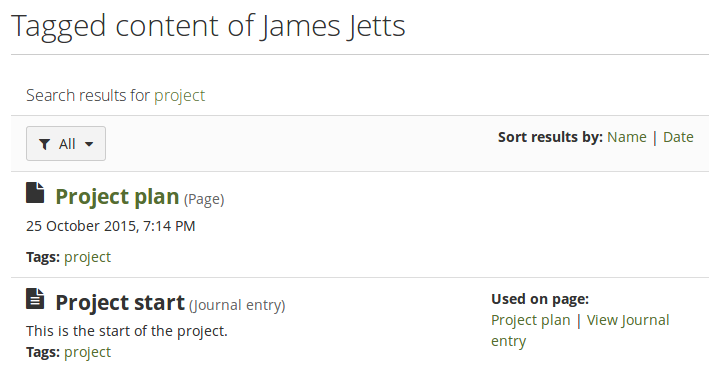 Portfolios are graded in Mahara, and the grade is transferred to the LMS via LTI. These portfolios can be archived in Mahara automatically if needed. You can save versions of your portfolio to your page timeline and jump back to old versions. This allows you to see how your portfolio has developed over time, what you have added, and what you have deleted. Peers can perform a blind review of a portfolio authors skills and competencies when the “Peer assessment” block is on a page. They are not able to see any content of the person they are assessing. Peer assessments can be saved as drafts before making them available to the portfolio author and others. When portfolios don’t use SmartEvidence for assessment purposes, it’s still good to know which pages are ready for review and when they can be sent for assessment. That is where the sign-off and verification functionality comes in. Adding that to a page allows the portfolio author to sign off their page indicating to a selected manager that their portfolio is ready for review. If required, the manager can then verify the content showing that they are happy for the portfolio to be taken to the next step in the evaluation process. An institution or site administrator can revoke access to a portfolio temporarily when it was reported as containing objectionable material. While the portfolio is under review, nobody who would normally have access to it are able to view it until the administrator is satisfied that all objectionable material has been dealt with. 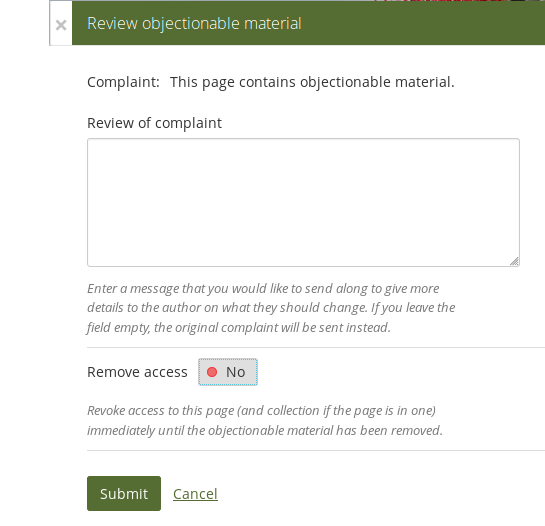 This allows the administrator to communicate with the portfolio author directly through Mahara and also view a report of all current objectionable material. A site administrator can define a page other than the dashboard to which everybody is taken once they log in to the site. This can be group, institution or site pages as well as group discussion forums in groups that are open to all registered users. 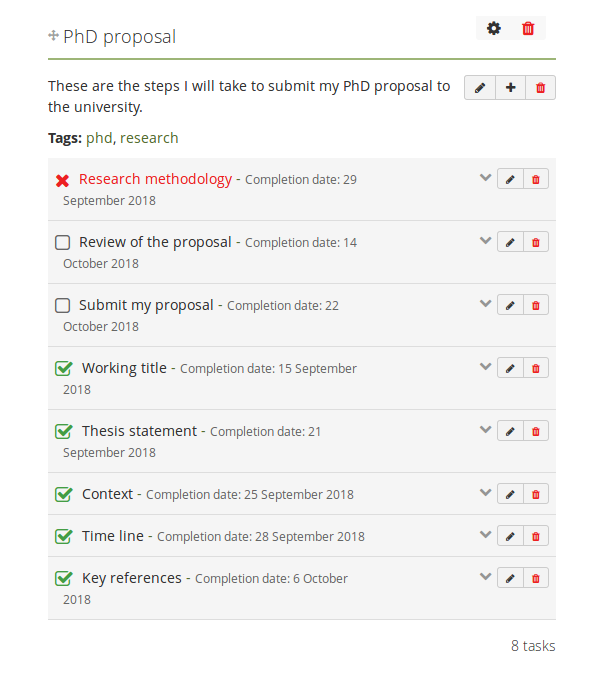 You can update the status of a plan task or edit tasks of a plan directly from a portfolio page making it faster to keep your plan up to date. When you administer a large site, deleting users and cleaning up groups may be very tedious. You can use CLI to delete users based on certain criteria, e.g. those who had never logged in, had not logged in since a specific date, or are members of a particular group. You can also use CLI to delete groups according to specified criteria.